please take a look at this project and I ask for your support to bring it to a successful conclusion. Condolences to all the family and friends of the passengers,who lost their lives on board this ferry.,its been two weeks, and not all the bodies have been recovered,so we hope that the rescuers will complete this task as soon as is possible ,so the family members can bring to close this sad chapter in their lives by granting their loved one a proper burial. Condolences to the family,friends and legions of fans of mr.Kevin Sharp,who died on Saturday 19,2014.Kevin was an American country singer,author and motivational speaker. Based on the information encoded into his birthdate and birth name he was coded to the age of 48. Lets all wish Kevin a melodious journey through eternity. Condolences to the family and friends of mr.Rubin Carter,who died on Sunday april 20,2014.He was jailed on a false charge of murder and spent (20) twenty years in prison before being release. Based on the information encoded into his birth date and birth name his mu-ji-man codes reveal that he was coded for 76,the exact age of death. Lets all wish the hurricane a peaceful entry into eternity. Condolences to the family and friends of mr.Garcia Marquez.who died on April 17,2014 at the age of 87. Mr.Marquez was a Colombian novelist,short story teller,screenwriter and journalist. Based on the information encoded into his birth date and birth name ,his mu-ji-man codes revealed that his coded age was 91,so he died (4)years before his coded age. Lets all join together to wish him a safe passage as he begins his journey through eternity. Condolences to the family and friends of James Winchester,who died on april 11,2014.He was 69.He was best known as a songwriter,with his work being recorded by many notable artists,including Patti Page,Jimmy Buffet and others. 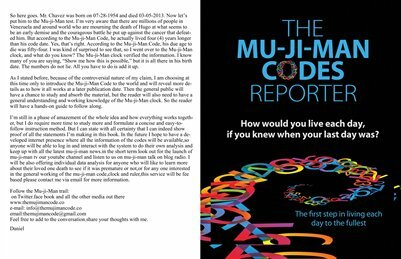 Based on the information encoded into his birthdate his mu-ji-man codes reveal he was coded for the age of 67 so he lived 2 years above his coded age. 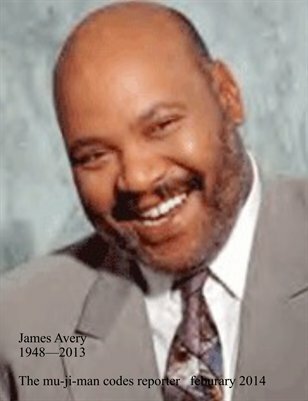 Join with me in wishing a safe a melodious journey to James as be embarks on his journey through eternity. With the recent deaths of some famous faces such as the ultimate warrior ,Peaches Geldof and others, the media is ablazed with the usual hype and 30 seconds sound bites, all proclaiming that these people all died too soon ,and making such proclamations with what they believe to be a source of authority.It is possible that some of these people may have died before their allotted (coded) age or time here in this reality,but the truth of the matter is, these claims are made or repeated from our limited knowledge base, and in the case of the media,its just another headline stop on the way to the next 30 sec blurb. The coverage of these celebrity deaths via the mainstream news media,one will think that the covered subject,is the only person who died in the world at that age or time ,when in reality there are hundreds,thousands or even millions of people who may have died around the globe,but no one pays any attention to them or attempts to fool us into believing that the universe is ended with the passing of these famous faces. The mu-ji-man codes is a tool, that is available to us today to give us a glimplse into the infinite wisdom of the universal oneness , and it allows us to answer the question or better yet ,it shows us if a person dies too soon or not.I Recently invited a reporter from the Washington post to think ouside the box in his reporting on a recently deceased superstar,and I will wait to see if he breaks loose from the shackles of the immediate sensational sound bite,or will he allow his brain to lead him into the unknown but wonderful world of original thought. Gone too soon ??? ,says whom?,who are we to decide wheather a person is gone too soon,it is not up to us to pretend to know if a person is gone too soon and to make these vain proclamations all in the interest of a headline and for profit.Instead we should realize that we are slaves and not masters of the universe and we must take the time to serve and become good students of the universal oneness,just like that oneness gifted us with the breath of life,it also imprinted in us the min,hour ,day,and time when that energy must be re deposited into the universal collective. Look to the stars and imagine, “its all coded into your birthdate”,you too will deposit your fire that will keep the collective burning forever, and there is no such thing as too soon, when it comes to eternity. Condolences to the family,friends and legions of warrior fans on the passing of the ultimate warrior,who died on Tuesday at the age of 54. Today I feel like I have lost a very dear and personal friend,I am a wrestling fanatic and he was one of my favourite wrestlers,on Tuesday night I was watching the Monday nite episode of raw and I was so delighted to see him again and I was looking forward to that anticipated (rumored)match between him and the undertaker who recently lost his match against Brock Lesner on Sunday at wrestlemania 30,so as a fan I have to now put that idea out of my head. The wrestling world is waking up to another shock,with the announcement of the death of the ultimate warrior as I was at 4am this wed morning. I do not want to be the bearer of bad news but as a mu-ji-man codes reporter Its my duty to inform the wrestling universe that even though we are shocked by the death of the warrior at the age of 54,he actually was coded to die at the age of 55,based on the information encoded in his date of birth and birth name. Lets all join in wishing the warrior a safe and peaceful journey as he embarks on his trip through eternity.